Kellan Lutz says designer Danny Guez is a ''true genius'' and he loves working with him on his clothing collection Abbot + Main collection. 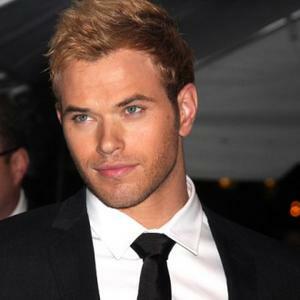 Kellan Lutz says Danny Guez is a "true genius". The 'Twilight' star recently launched his menswear collection Abbot + Main with the designer and says his completely in awe of Danny's talents. He said: "I have always loved fashion, but I have no expertise in it besides being a model. I'm learning from a high caliber, true genius. I didn't want to be the face of some product I wouldn't actually wear. If we were going to do this, I wanted to learn everything that Danny had to teach. Even if it failed, I'd still have something that I'd wear!" The heartthrob - who is also the face of the brand - has previously said of working on the range: "How cool will that be to create my own line? I grew up wanting to be an inventor. I went to school for chemical engineering. I love to create. I've always wanted to get into fashion. I've always liked drawing, not Space Age stuff but high fashion. I don't like to be loud. I like fitting in and not drawing attention. Simplicity is key." "I like the ones that can be dress pants. I don't like to be loud. I like fitting in and not drawing attention. Simplicity is key."